Posted Wednesday, April 3, 2019 | 55 views | Aviation & Transport | Comments (0) Buying and driving these classic beauties has become a common dream amongst admirers all over the world. Cars are an essential transportation mode for many of us, but why do some car enthusiasts take a particular interest in classic American cars? 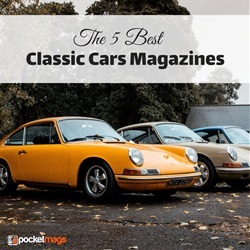 Some may say that these cars get better with time and their background story keeps them popular with masses of people. Purchasing and driving these classic beauties has become a common dream amongst admirers all over the world. There are many reasons why these vehicles are so well loved by their owners. 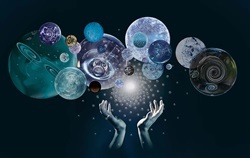 Whether you feel like you know everything there is to know about these classic old timers, or you believe there is stillroom for you to soak up some more information then continue reading. Scroll back to the late Nineties, and General Motors’ luxury brand was keen to shake off its ‘old man’ image. A race bid, with victory in the Le Mans 24 Hours its primary objective, was just the ticket, with race car constructors Riley & Scott being roped in to design the carbon-fibre monocoque. 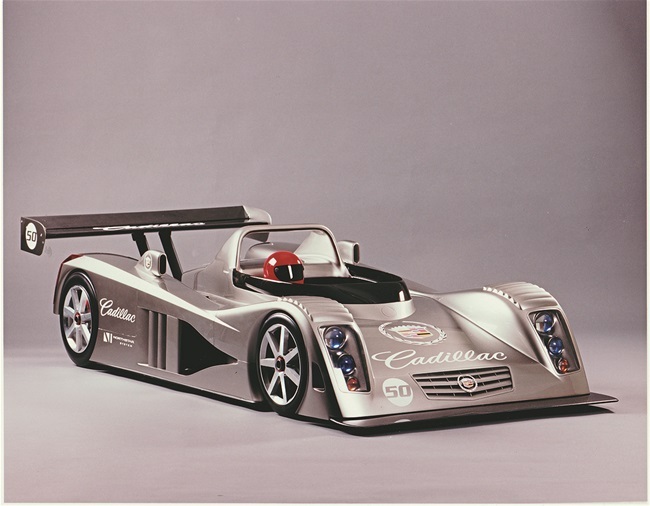 In 2000, the first ‘tub’ was completed, with Cadillac’s own artists adding styling touches that mirrored its new art and design cues, not lest the razor-sharp creases and egg-crate grille. Powering the beast was twin-turbocharged, 4.0-litre V8 rooted in an earlier Indy Racing League design. The 1969 model seems to have gone largely unnoticed: the ’69 Plymouth Barracuda, the last of the fastback second-generation A-body cars- a forgotten gem that in many ways has become a fish out of water. 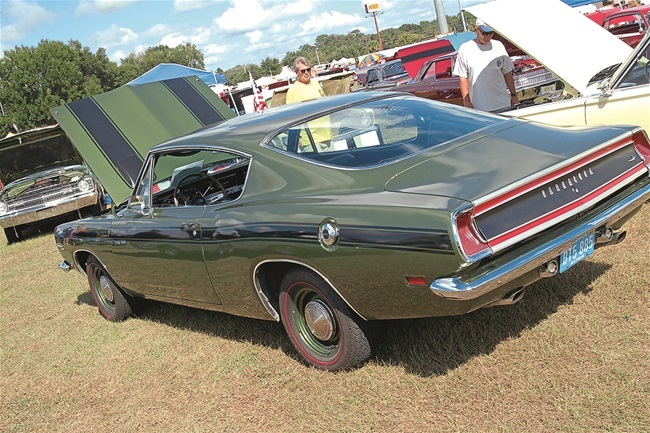 The Barracuda, still available in three body styles- fastback, hardtop coupe and convertible – the cars were given new rectangular side marker reflectors. Black-painted insert fuel cap, back-up lights in the rear panel and a reworked hood, which continued on to the front panel that included a fresh grille design. About a decade ago, there was an idea in North America that essentially small and midsize pick-ups were dead. The demand for these models had been steadily falling. General motors were in the process of axing Chevy Colorado and GMC Canyon (mid-size trucks) leaving Nissan and Toyota to soldier on to keep the models from being axed all together. Fast-forward a decade and things have dramatically changed. General Motors has a new-generation Colorado and Canyon that have been selling gangbusters since they were introduced as 2016 models. If you want to drive a big loud muscle car you might as well get one that stands out from the crowd. Why not coloured bright banana yellow? The Dodge is extremely popular amongst classic car lovers. All fans will admit that the Dodge Charger made a hell of a decent and good-looking muscle car in the Sixties. 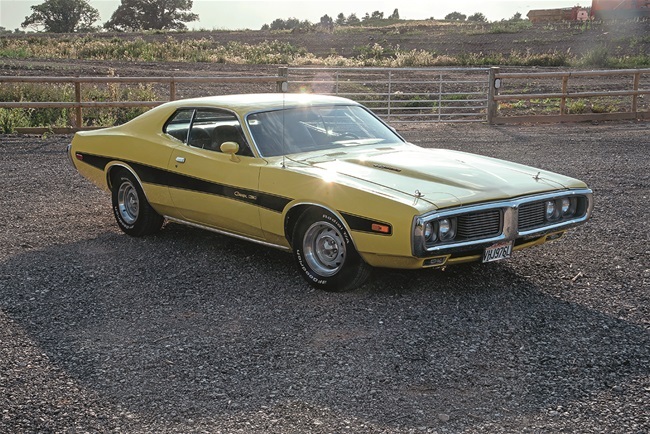 The trouble is, that the love for these cars are not often shown to the Seventies models (a fantastic feature on a 1973 Dodge will be in Classic American). The Dodge Charger was first launched in 1966, born out of two styling models; a show car based on a two-seater 1964 Polara gave the name Charger, while the 1965 Charger two show car foretold the styling of the 1966 production model. When was the last time you came across a Chevrolet Apache Suburban? Yes, there are not too many about on this side of the pond. Finished in Rover Trophy Blue metallic paintwork, it certainly has a lot of presence. This Suburban classic would make an excellent choice for an enthusiast with a large family, having loads of room for everyone. The ultimate proof of the pudding with any vehicle that’s been rodded is how user-friendly it is to drive. It’s completely speedy and comfortable, so covering long distances in this old vehicle shouldn’t pose any problems for you. 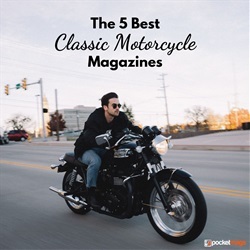 For more great articles like this get the 336 April 2019 issue of Classic American Magazine below or subscribe and save. 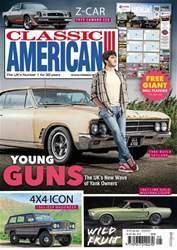 Classic American is the biggest American car and lifestyle magazine in the UK featuring Classic American cars from the Twenties to the Seventies, as well as being the number one place for buying and selling cars, trucks and parts. 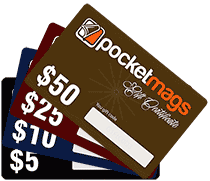 For more great articles like this subscribe to Classic American Magazine today. Johnny come lately! 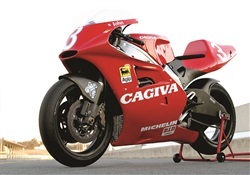 Riding the Cagiva V593!